Can unusual events be your thing? Being an event planner offers you the chance of hosting many great events. I think that every one of us dreams of hosting the perfect concert or conference that will forever remain in every attendees’ heart and mind. But I also think that many of us would love to host all sort of unusual competitions, championships or festivals, but are too scared to do it. Why?Because “what will people say?”, “who will attend?”, “it’s too weird” and so on. Considering the fact that there’s some “Chemical X” in all of us I think that sometimes we just need someone whispering “everything is possible” – and we will find the power to follow all these weird ideas. And in this case, I would just love to be one shouting that every unusual idea can be transformed into a very successful unusual festival (contest, race etc). So I gathered a list of some famous, but curious festivals/contest to show you that every idea can be transformed into a successful event. Have you ever dreamed of playing your guitar in front of a hypnotized crowd but then realized that you never actually learned to play it? 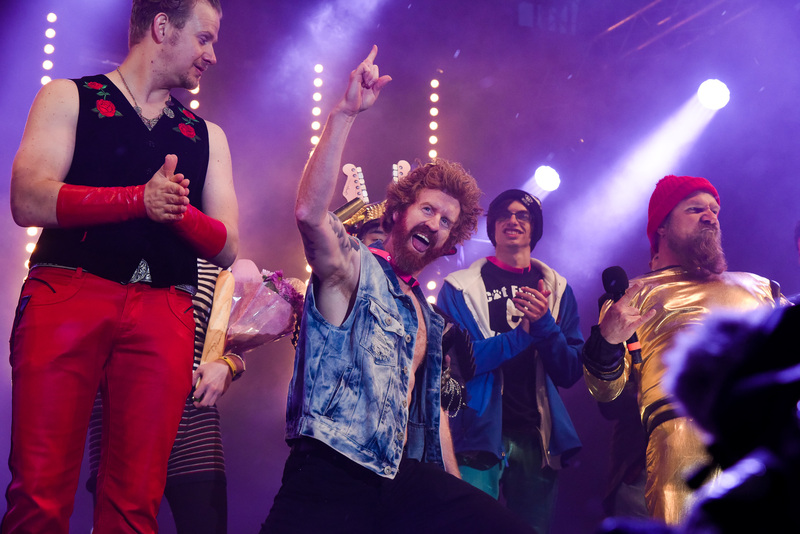 Good news: Finland hosts Air Guitar World Championships, where you don’t need a guitar for a great guitar solo. Here moves are more important than the music so at AGWC only the passion with which you play your imaginary guitar counts. If you plan on becoming the new guitarless Jimi Hendrix you should know that the next edition of AGWC will take place between the 22nd and 24th of August (as part of the Oulu August festival). Beards and Moustaches. As we all know facial hair is a simple sign of a high testosterone level, and which man doesn’t want to show off with that? Hmmm…maybe this contest is not so unusual after all. There are multiple local/national beard and mustache contests but also an international one – World Beard and Moustache Championship. Do you know the popular theory that a crying baby is a healthy one? Well, in Japan there is even a contest of crying babies. This hundreds years old “contest” is meant to help babies scare off the demons, so the louder the scream the longer/healthier the baby’s life. The participants (little babies) are held on stage by sumo wrestlers that encourage them to cry by wearing masks or simply “whispering” them to. Rock-Paper-Scissors is not an unusual game (as for years and years decided for me and my friends who will go to the store or take out the garbage) but a World Championship…that was new (to me). Unfortunately, there are some issues with the event and Worldrps.com announces that currently there aren’t any scheduled for Rock Paper Scissors International World Championships but there are plenty of local tournaments to prove you have the skills. The wife carrying contest originated in Finland and, over the years, has spread around the world, similar competitions being held in North America, Australia or the United Kingdom. Beside multiple local contests, enthusiasts can participate to the Wife Carrying World Championship (if they are good enough, of course) held where else than in Finland. The first 20 editions have all been won by Europeans, I think it’s time for this to change. I don’t know anyone who doesn’t think that ironing is a very annoying task, but it seems that things change when you add some adrenaline to it. Otherwise, I can’t understand why Extreme Ironing even exists – you can do some extreme sport without carrying your iron board with you, right? Extreme ironing enthusiasts organized a World Championship back in 2002 and 12 team took part at it, demonstrating that even ironing has its fans (or maybe it was the adrenaline rush activities that gathered them, we will never know for sure). As the name says this sport involves getting your shins kicked…ouch! Originated in England, this sport still attracts great crowds to the Cotswold Olimpicks. I wouldn’t dare to look, not to mention taking part in a “shin fight”, but if you fancy yourself in the middle of the action you must know that the next event takes place on the first of June, 2018. May the Shin be with you! Before you contact volunteers you must know what you actually need them for, meaning you will need to evaluate your needs for personnel. Find out which departments would need some extra help: marketing and communications, sales, technic department etc. so you know who to look for. People like volunteering but they also like to know what they are volunteering for and it wouldn’t do you any good to look for someone to help with registration when you actually lack a sound technician. My biggest problem when growing up was that I always waited until the last minute when I wanted/needed something. And, as life taught me (the hard way, how else?! ), things tend to get rough when time isn’t on your side. Spread the news that you are looking for volunteers early on otherwise you can you can find yourself in the unpleasant situation of not having enough personnel on site. If you don’t know where you’re going how will you know when you get to the destination? Things aren’t very different if we speak of a new task or project: if you don’t know what you want to achieve how will you know if you did a good job? Things are even more unclear for volunteers, so you will need to explain to them what should be the end result of their work. It’s easier to evaluate your work when you have some clear goals. You and your team should act like leaders and don’t use volunteers for the jobs that nobody wants, instead offer them the chance to do something meaningful. This way you can count on their help for your next events (and will be able to add some experienced people to your team). After everybody has chosen a role it’s time for you to host a training for the whole team. I saw that, generally, things work great when you create mixed workgroups (volunteers + team members) and offer the same “training” for all. 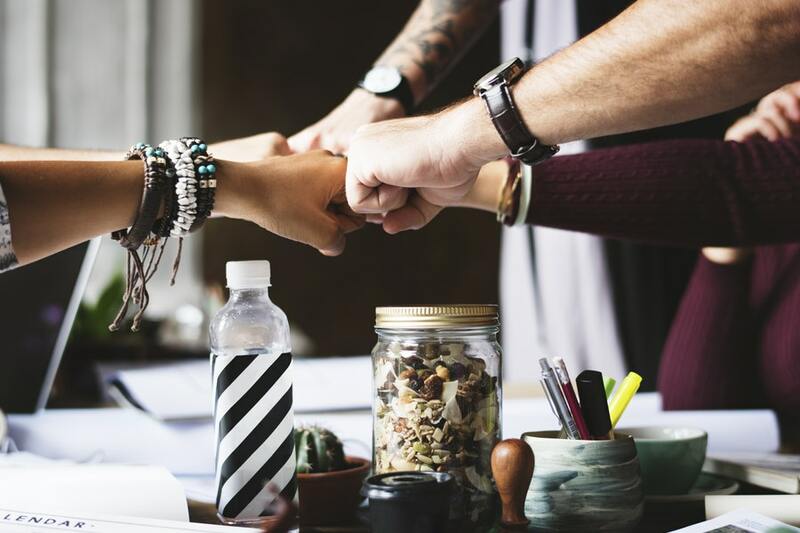 Encourage socialization between your team and volunteers because, after all, you are all in the same boat, so you need to act like one big team. Before your event starts “walk” everybody through the whole process at least once, so they all get the big picture. Seeing how a rather tiny role in the process actually helps things move forward will make everyone more enthusiastic about their role in the event. “How you feel is often more important than what you earn”. We tend to value words of appreciation more than we value financial rewards, studies reveal. But if you think that words of appreciation are so used so often that they start to lose their value…think again.Genuine words of appreciation are rare and hard to forget, so are able to make you really known and appreciated within the community of volunteers. …and don’t forget that VOLUNTEERS ARE PART OF YOUR TEAM.